Special interest in topics relating to library management over the last decade has led to the close examination of crisis management practice among library professionals. Due to the importance of the archives, documents, and books housed within libraries around the world, preemptive planning for potential disaster is necessary to all librarians and their staff. 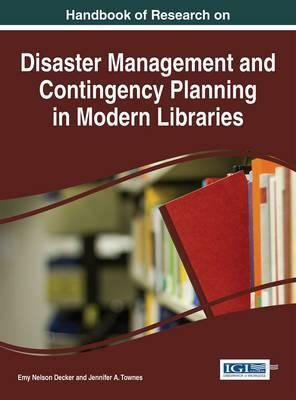 TheHandbook of Research on Disaster Management and Contingency Planning in Modern Libraries brings together the latest scholarly research, theories, and case studies to investigate the scale and types of disasters that can impact a library. Through the evaluation of past crisis management strategies and future best practices, this handbook is an essential reference source for librarians, library staff, archivists, curators, students, professionals, private collectors, and corporations with archival collections to learn from the experiences of others, expand their definition of disaster, and create or redesign their own disaster plans with newfound awareness. This handbook features timely, research based chapters and case studies on crisis management, emergency response, exhibition loans, natural disasters, preserving archives, public and staff safety, and risk assessment.